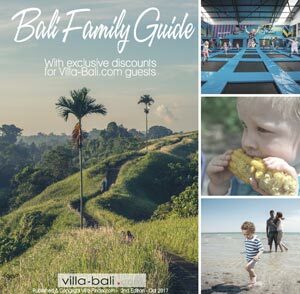 Download our exclusive Bali Family Guide - 2nd Edition and discover the best accommodations, restaurants and kid-friendly activities for your family holiday in Bali. In this edition, we introduce hottest gathering destinations, popular family activities that we have tried and personally recommended. On top of that, we have partnered with various businesses to bring you exclusive discounts! You will get to enjoy these offers when you stay at our villas! And don't hesitate to ask us for all your questions about Bali villas for rent.